The Hawai‘i State Department of Education (HIDOE) continues to try and use local agriculture in student meals through its ‘Aina Pono Harvest of the Month program, which kicked off last year with locally grown beef. This month, HIDOE and the Lieutenant Governor’s Office have partnered up with the Hawai‘i Department of Agriculture (HDOA) and various local farms across the state to serve fresh bananas at all public schools. 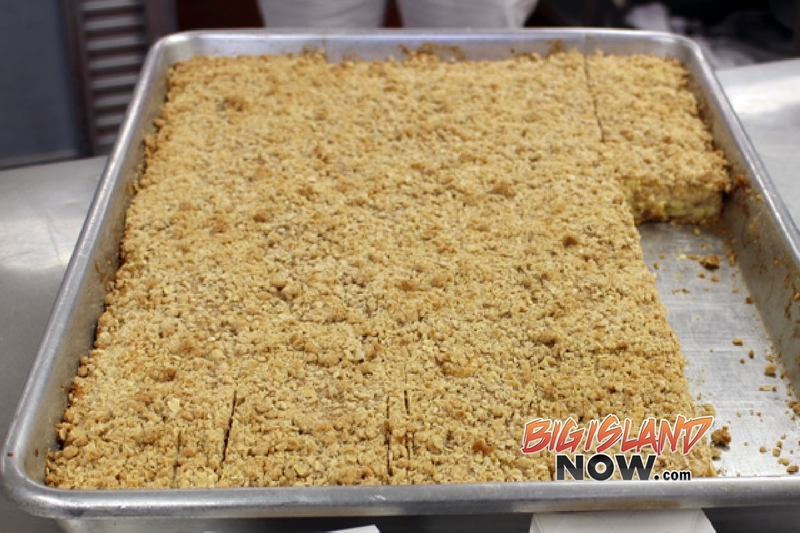 Fresh bananas will be served in a Banana Pie or a Banana Crumble (pictured above) at every public school cafeteria in January. While HIDOE is changing the way food is purchased, prepared and delivered, the ‘Aina Pono Harvest of the Month program is also a great opportunity for Hawaii’s agriculture community. Approximately 34,000 lbs. of bananas are being provided by several local farms, including Sugarland Growers Inc. and ‘Ohana Banana Farms, to name a few. “We’re excited to be working with the Department of Education on incorporating more fresh, local produce for Hawaii’s public school students,” said owner of Sugarland Growers Larry Jefts. Jefts said purchasing local foods from our food safety certified farms on each island also helps to support and strengthen Hawai‘i’s economy. The Farm to School Initiative started in 2015, and was led by Lt. Gov. Shan Tsutsui. The program was created to increase locally grown food in student meals through a partnership with Lt. Gov. 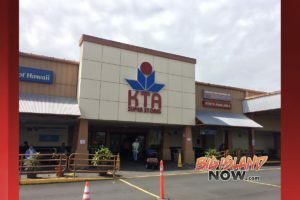 Tsutsui, HIDOE, the Department of Agriculture and The Kohala Center. Today, the Farm to School Initiative is included under ‘Aina Pono, which also incorporates school gardens, nutrition, health and food education, test kitchens, meal programs and menu planning at Hawai‘i’s public schools. 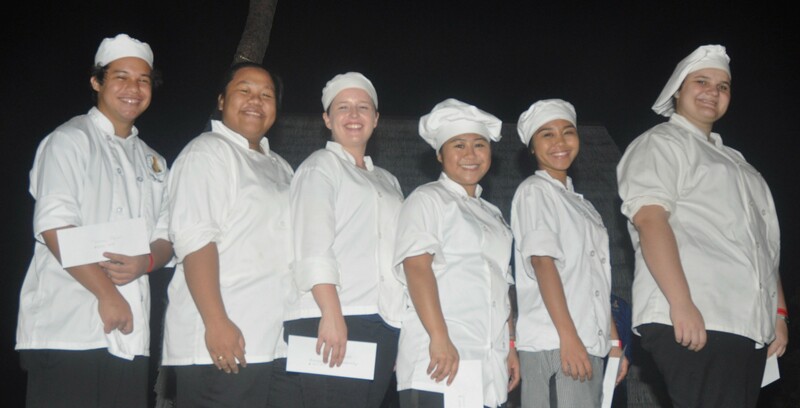 The American Culinary Federation Kona Kohala Chefs Association awarded six $2,000 scholarships Saturday, Dec. 2, 2017, at the Christmas with the Chefs gala on the grounds of Courtyard King Kamehameha’s Kona Beach Hotel on Hawai‘i Island. Pictured with their American Culinary Federation Kona Kohala Chefs Association scholarship envelopes are (L–R): Thomas Elarco, Daine Lagpacan, Taylor Neufeld, Jenna Shiroma, Brittney Badua and Lily Fraiser. Courtesy photo. George Gomes of the Sheraton Kona. In addition, grad Patti Kimball, of Kimball Catering, served as culinary station organizer. 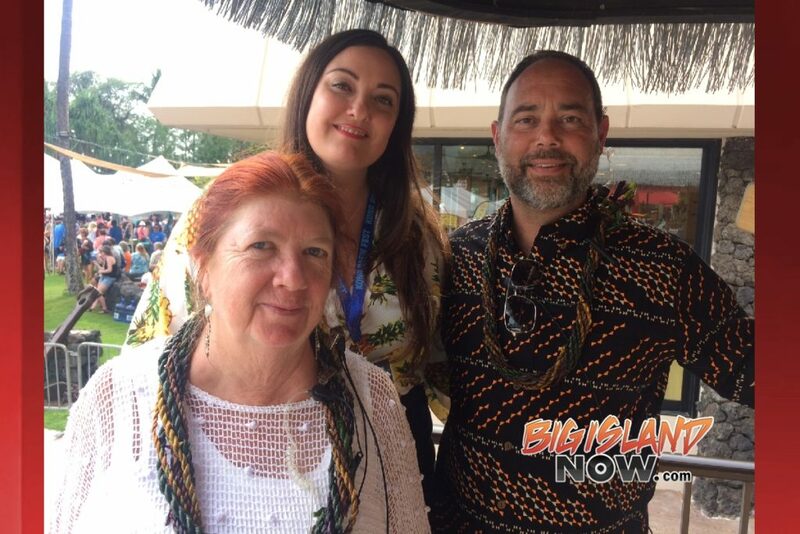 In its 29th year, the annual fundraiser benefits culinary students attending HCC–Palamanui and members of the Kona Kohala Chefs Association wanting to further their education. Event proceeds and sponsors funded the scholarships. These scholarships aid students completing their two-year AAS culinary degree while preparing them for gainful employment in the workforce. Mark your calendar for next year’s 30th anniversary benefit on Saturday, Dec. 1, 2018. ACF is the largest, professional, nonprofit organization for chefs and cooks in the nation. Founded in 1980, the Kona Kohala chapter is comprised of food service professionals, vendors, growers and culinary enthusiasts. Members are local industry leaders committed to culinary enrichment through professional development and education in our community. Vick Traxler, owner of Privateer’s Cove in Kailua-Kona. Karen Rose photo. 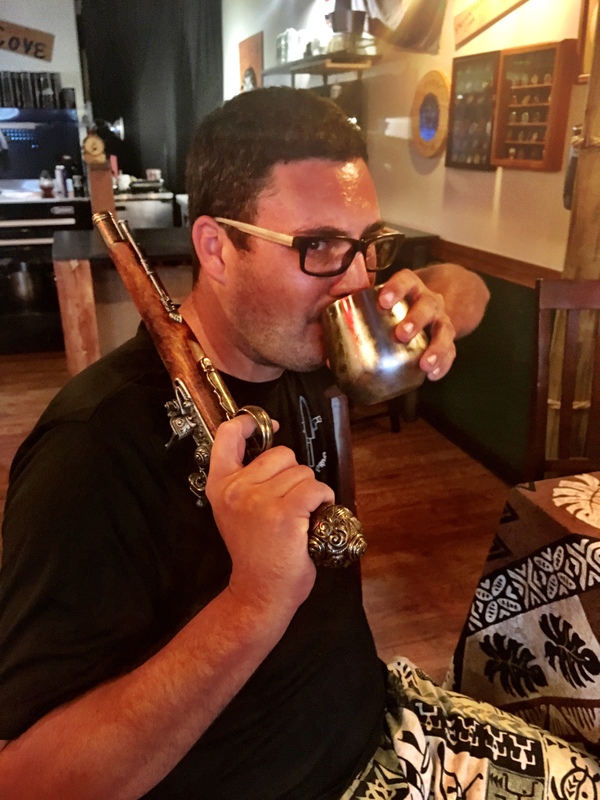 For diners looking for an experience as unique as their food, Privateer’s Cove in Kailua-Kona offers just that and more. Tucked away in the old industrial complex, Privateer’s Cove serves interesting dishes and features exotic meats from around the world. Even more interesting than the menu, is the founder of Privateer’s Cove, Nick Traxler. “I wanted a place unlike any other—a living room for my friends,” said Traxler. Displayed in extra large print, the rules of Privateer’s Cove are clearly defined for diners so there are no misunderstandings. The first posted rule is No Pretension. In other words, customers must be nice and act like adults. The second rule is no talking on cell phones—no exceptions or excuses accepted. The last rule is guests may not speak against men and women in uniform. Traxler makes his rounds from table to table chatting with customers and sharing stories of his days performing at Renaissance fairs and being a police officer in Arizona. He’s proud to run his business as he sees fit and feels those who don’t care for his style can eat somewhere else. Outspoken and uniquely brazen, he has as much character as his menu. Speaking of the menu, kangaroo potstickers are a favorite appetizer. Kangaroo meat is shipped in every Wednesday from Sydney, Australia. Traxler donates a portion of the sales from the pot stickers to help benefit the Kealakehe High School Wrestling Team. If kangaroo isn’t your thing, the Truffle Mac & Cheese is a delicious and rich comfort food appetizer. The American Legion Special is an Alligator and Chicken Étouffée. Part of the proceeds for this entree help support the American Legion Post #20 in Kailua-Kona. 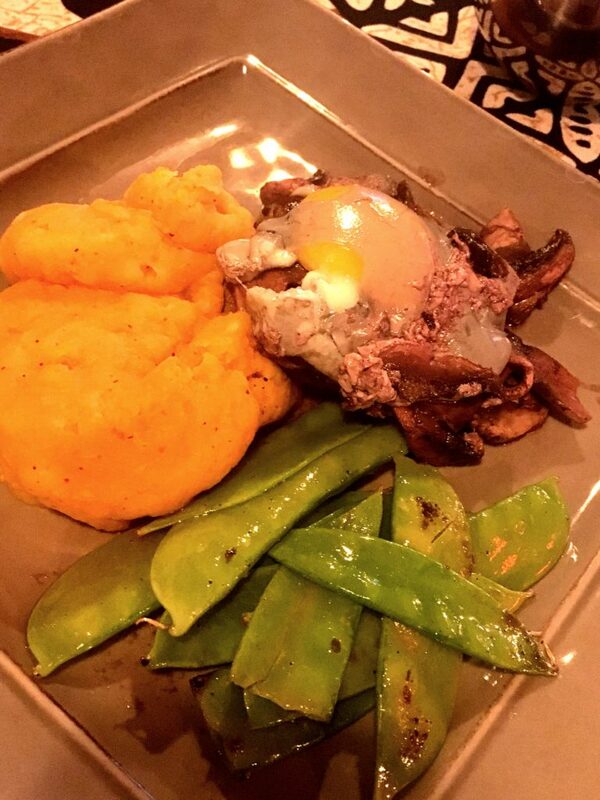 If beef is more your thing, the Port of Helena Filet Mignon is served rare to medium rare with a mushroom red wine and poached egg over mashed potatoes. 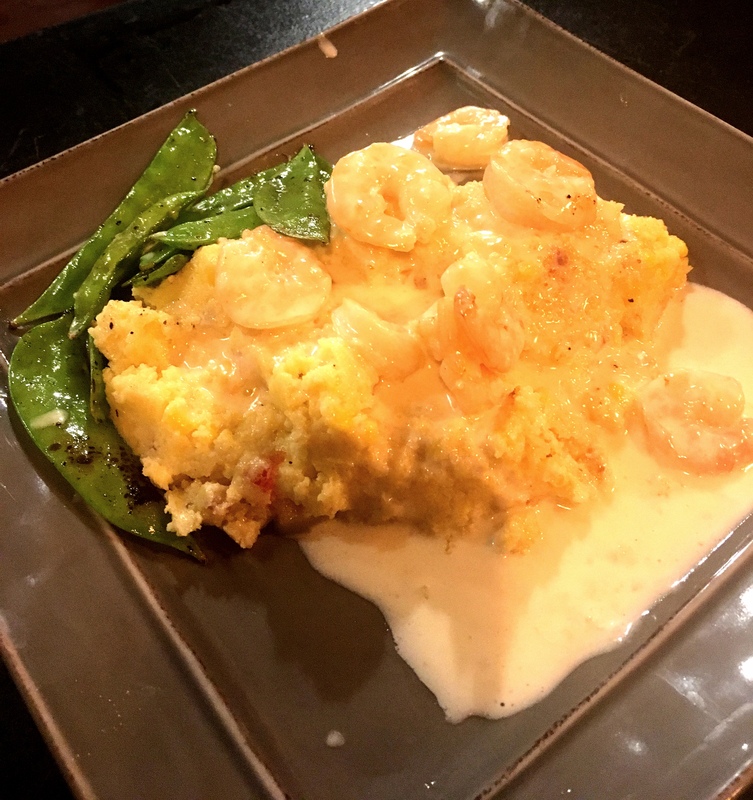 For seafood lovers, try the Port of Charleston Shrimps and Hominy, an eclectic take on the classic creamy cornmeal topped with shrimp on homemade garlic sauce. On Wednesdays, the lunch special is camel burger, which is nicely seasoned and served on a fresh bun. 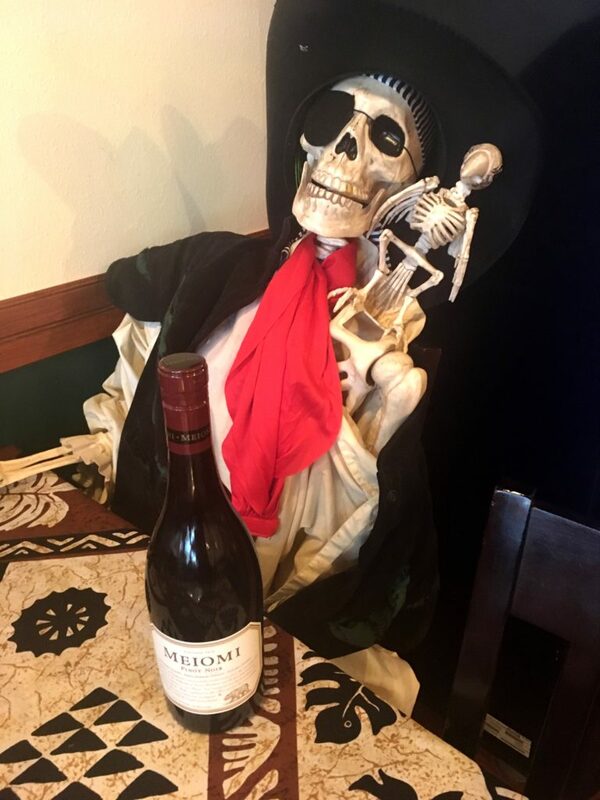 Privateer’s Cove is a bring-your-own-adult-beverage establishment, so guests are offered the opportunity to pair their exotic meats with their beverage of choice. If there’s any room left after all the exotic critters, indulge in the creme brûlée or mud pie. Privateer’s Cove is open Monday through Saturday from 11 a.m. to 4 p.m. and 5 to 9 p.m.; closed Sundays. The restaurant is located at 74-5565 Luhia St in Kailua-Kona. For more information or to view the menu, visit privateerscove.wixsite.com. 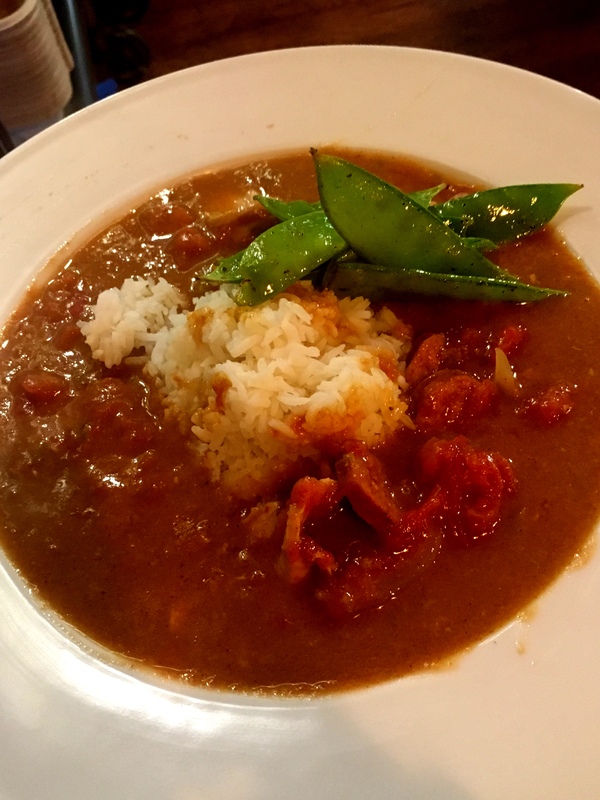 Alligator and Chicken Etouffee at Privateer’s Cove in Kailua-Kona. Karen Rose photo. Filet Mignon at Privateer’s Cove in Kailua-Kona. Karen Rose photo. A very hungry customer at Privateer’s Cove in Kailua-Kona. Karen Rose photo. 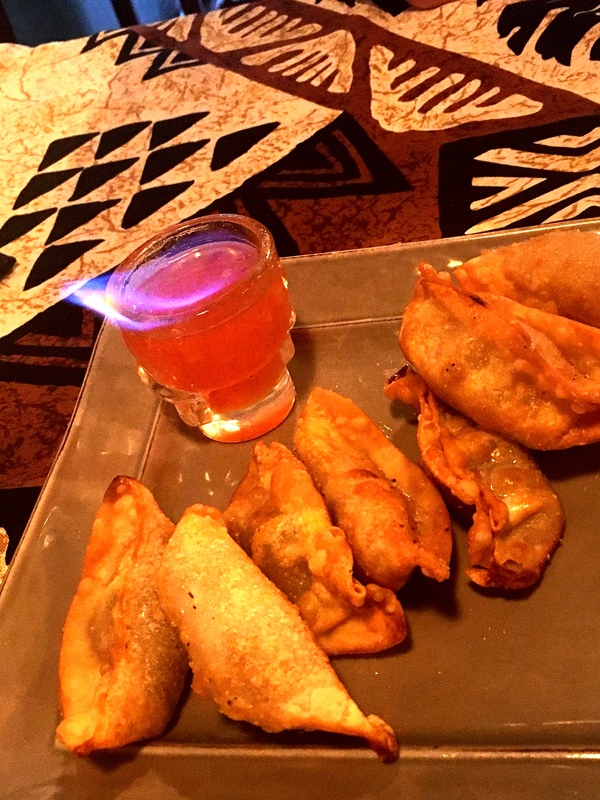 Kangaroo Wontons at Privateer’s Cove in Kailua-Kona. Karen Rose photo. 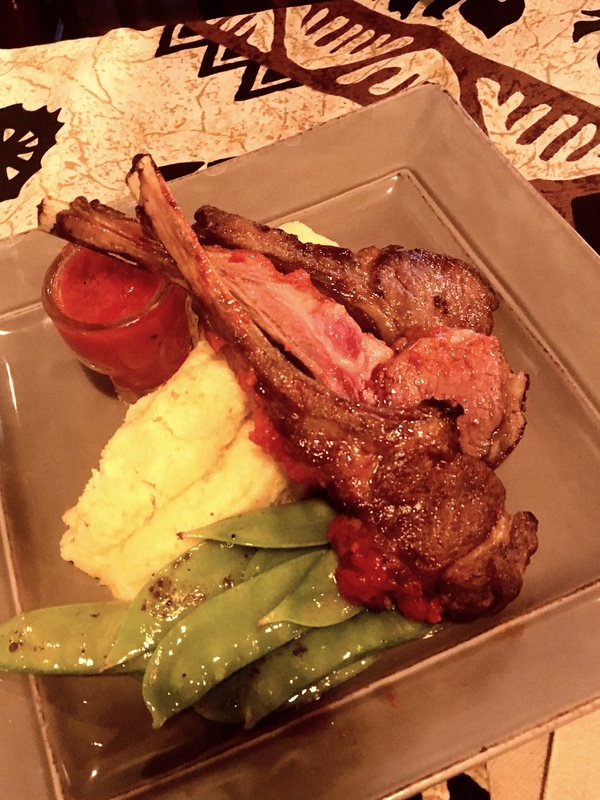 Rack of Lamb at Privateer’s Cove in Kailua-Kona. Karen Rose photo. Shrimp and Hominy at Privateer’s Cove in Kailua-Kona. Karen Rose photo. 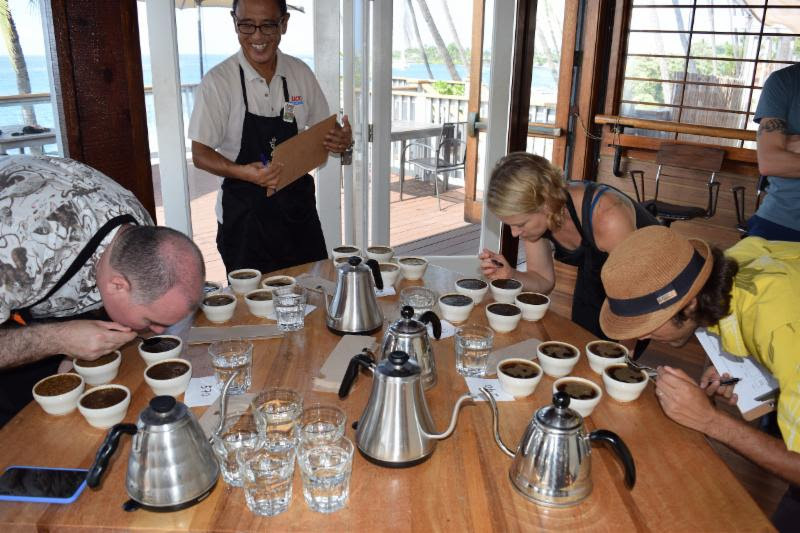 Judges at the 2017 Kona Coffee Cupping Competition assessed entries according to a new scoring system this year. The competition was held at Daylight Mind Coffee Company. Courtesy photo. Three winners claimed victory in the 2017 Kona Coffee Cupping Competition. 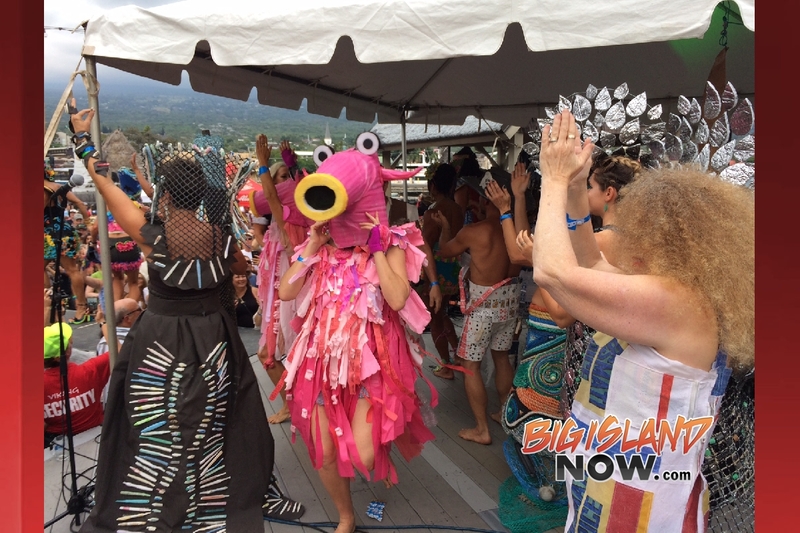 Pele Plantations won the Commercial Division; Castaway Bay Kona Coffee took the Artisanal Division’s Heritage Profile and Onila Farms captured the win in the Artisanal Division’s Modern Profile. The winners were selected from 76 entries using a new scoring system that departed from national standards and emphasized regional characteristics specific to Kona coffee. Judges used a 10-point intensity scale to parse the subtle differences between brews in two new flavor profiles: Heritage Profile, a classic Kona Coffee profile; and Modern Profile, one that would be celebrated by modern, specialty coffee consumers. Judges rated entries according to acidity, body, coffeeness, sweetness, floral, complexity and defects. 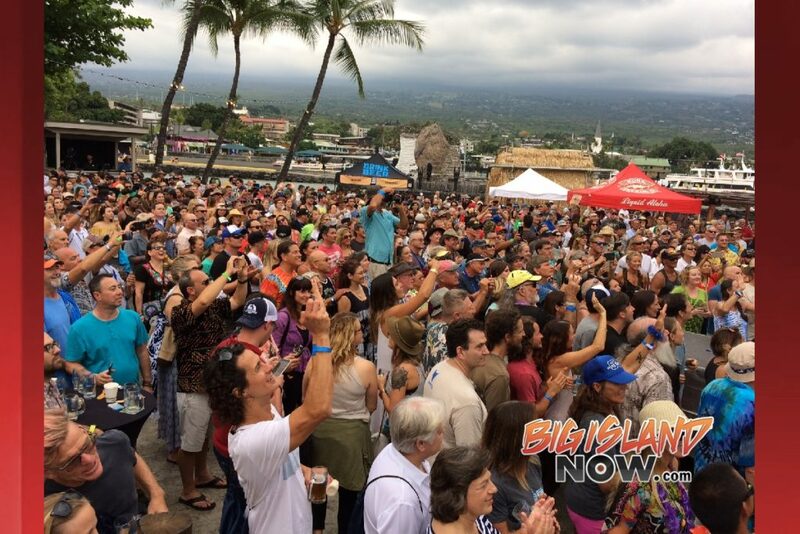 The Kona Coffee Cultural Festival is looking for friendly, reliable volunteers of all ages to help with events throughout the ten days of Festival fun. Interested individuals, local businesses and community service groups are welcome and encouraged to participate. Festival volunteers can assist the Festival in a variety of ways, including event set up, execution and breakdown, survey taking, greeters, traffic control, venue maintenance and post event clean-up. The 47th Annual Kona Coffee Cultural Festival starts brewing Friday, November 3 through Sunday, November 12. Volunteer positions are available starting Monday, October 30 and continue throughout the Festival. All interested volunteers are asked to email jkadooka@twc.comor phone 808-936-8320. The award-winning Kona Coffee Cultural Festival is recognized as the oldest and one of the most successful food festivals in Hawaii. The 2017 Festival, November 3 through 12, includes 10 days of events that promote Hawaii’s unique culture and diversity and supports the Festival’s mission to preserve, perpetuate and promote Kona’s unique coffee heritage. The Kona Coffee Cultural Festival is supported as a Signature Event by Hawaii Tourism Authority, and is made possible through the support of UCC Ueshima Coffee Co., Ltd., Kamehameha Schools, Alaska Airlines, Hawaii Community Federal Credit Union, Kawakami Family of Captain Cook Fund of the Hawaii Community Foundation and numerous other corporate and community donors. The Shops at Mauna Lani’s “Uncorked” Food & Wine Festival is an experience in great taste—from rich jazz to fine wines and delicious gourmet foods—on Saturday, November 11, from 6 to 8 p.m. The annual event is a benefit for the Visitor Aloha Society of Hawai‘i Island (VASH) which assists Hawai‘i visitors touched by adversity during their stay, from lost tickets to medical emergencies. Tickets are $65 in advance or $80 on the day of the event, and may be purchased online in advance at www.Uncorked2017MaunaLani.bpt.me. Additional event parking will be available. For more information, call 808-885-9501, or visit www.ShopsAtMaunaLani.com. 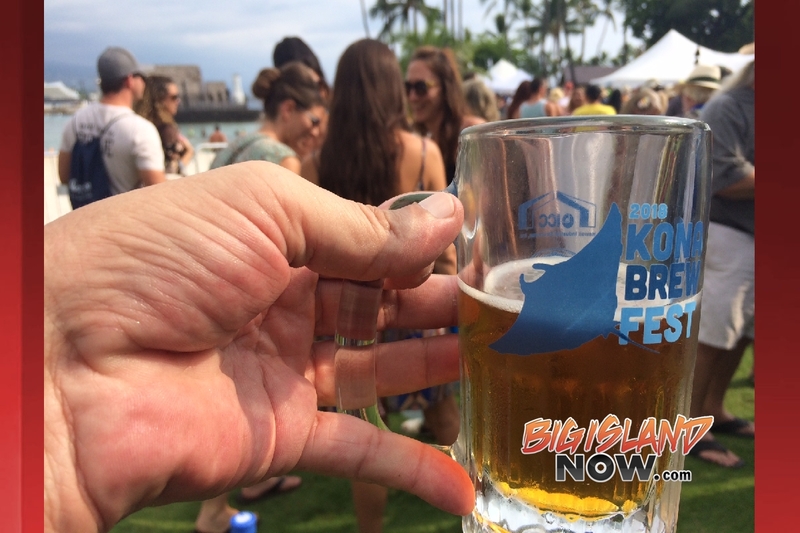 Kanaha Beach, a world-renowned kitesurfing destination located on Maui’s north-central coastline, inspires the newest year-round beer from Kona Brewing Co., Kanaha Blonde Ale. To bring the spirit of Kanaha Beach to life, Kona’s brewing team created a refreshing light blonde ale featuring a distinctive tropical flavor with real mango that weighs in at less than 100 calories. Kanaha Blonde Ale, is the perfect beer – whether celebrating an epic kiting session or relaxing at the end of the workday with friends. Kanaha Blonde Ale will debut exclusively in Hawaii in October before rolling out in 6-packs and draught on the mainland. Of the new brew, Kona Brewing Company Innovation Brewmaster Ryan McVeigh says, “What better inspiration for our liquid aloha than the famous trade winds and free spirit of Maui’s kiteboarding mecca?” With its light tropical flavor and aroma, Kanaha Blonde Ale pairs well with grilled seafood and salads. Starting this week, the new brew is available on tap at the two Kona Brew Pubs located in Hawaii Kai on Oahu and in Kailua-Kona on the Island of Hawaii and other restaurants and bars throughout the islands prior to a U.S. mainland roll out in bottles and draught later this year. The beer debuted with a launch celebration at the Hyatt Regency Maui Resort & Spa on October 5, 2017. The launch celebration was in support of Maui non-profit, IMUA Family Services . Kona Brewing Co. is proud to support IMUA’s work with local families facing challenges with developmental disabilities on Maui, Molokai, and Lanai. Photos of the check presentation and launch party are available at this link. 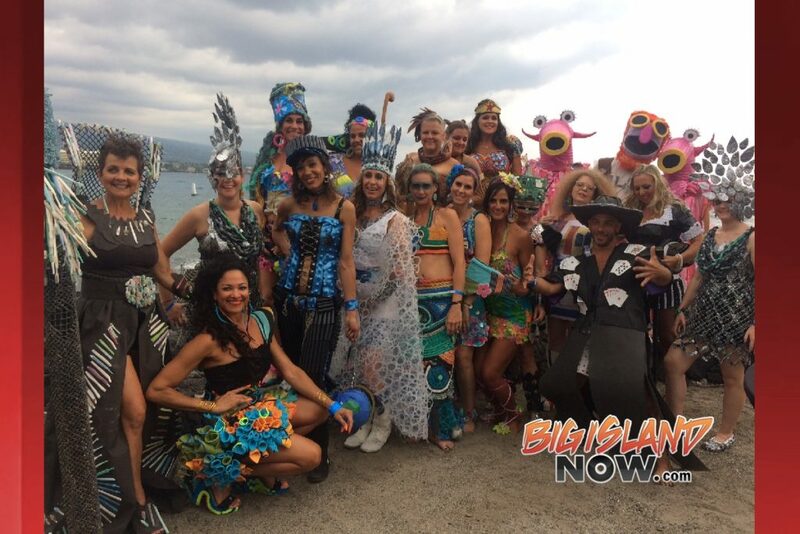 Kona Brewing Co. has a long-standing history of supporting groups that make a positive contribution to the community through service, education and preservation of Hawai‘i’s unique environment and culture. Kona Brewing Company donates more than $120,000 annually to non-profits like IMUA Family Services. Through its Makana program, the company celebrates non-profits like Jack Johnson’s Kōkua Hawai‘i Foundation, Waipā Foundation, Hawaii Conservation Alliance, Easter Seals, Sustainable Coastlines, Surfrider Foundation, Malama Maunalua, and Hawaiian Legacy Reforestation Initiative. The island’s largest agricultural showcase is returning in 2018 with a new twist at a different location. Mealani’s Taste of the Hawaiian Range will be Saturday, Sept. 29, 2018 at Mana Christian ‘Ohana (Old Kahilu Town Hall) and the adjacent YMCA Minuke Ole Park in Waimea. The 2018 Taste will offer all-day agricultural-themed fun and educational activities before culminating with an evening tasting event showcasing locally produced food. Daytime fun will include agricultural-themed activities and exhibits at the YMCA Park, with plans for horseback rides and viewing of livestock animals complete with educational displays. Community school groups and organizations will be invited to provide food concessions for daytime attendees. Admission to the park exhibits is free. Also planned are tours at local farms to see firsthand where some of our locally produced foods come from. Ag-related classes and the annual Cooking Pasture-Raised Beef 101 will be offered during the day inside the classroom building adjacent to Mana Christian’s Hall. Chef Edwin Goto of Waimea’s Village Burger and Noodle Club will lead the popular cooking class with sampling. Featuring about 20 culinary stations, the evening Taste will be both inside and out of the hall and open to 500 attendees. Tickets will go on sale next summer both online and at select islandwide locations. Mana Christian ‘Ohana is located behind Parker Ranch Center at 67-1182 Lindsey Road. For more event information, visit www.TasteoftheHawaiianRange.com and stay connected via Facebook at TasteoftheHawaiianRange and at @TasteHI on Twitter and Instagram. The Hawaii Tropical Fruit Growers (HTFG) named the recipients of its annual appreciation awards during the recent 27th Hawaii International Fruit Conference. Given to supporters of the state’s local fruit industry, the four 2017 recipients are Eli Ednie of Choice Mart supermarket, Catarina Zaragoza of the Locavore Store, Sweet Cane Café and Xavier Chung. Chung, a junior at Konawaena High School, received the inaugural Lesley Hill Service Award. The new service accolade remembers the late Hilo fruit and vegetable grower who was an avid supporter of Hawai‘i agriculture. “The HTFG board instituted the new Lesley Hill Service Award to honor Lesley, who served numerous terms as an HTFG officer and enthusiastically contributed to the health and growth of our organization,” shares HTFG executive director Ken Love. 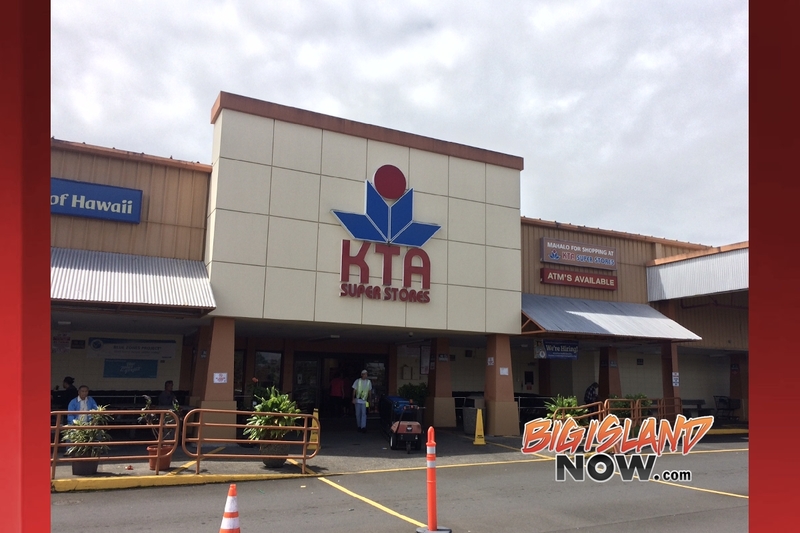 Chung was cited for orchard maintenance assistance at HTFGʻs Kona repositories, two of five throughout the state. The repositories serve as locations for propagation of fruit trees to make cuttings and scion for HTFG members. In addition to volunteering with HTFG, Chung helps out with the National Park Service in West Hawaii, Na Maka O Papahanaumokuakea and the UH Sea Grant college program. Recognized for a dedication to promoting locally grown tropical fruit at the Kealakekua Choice Mart, Ednie also volunteers at the HTFG Kona repositories. Also cited for promoting local fruit was Locavore Store co-founder Catarina Zaragoza. Located in downtown Hilo, the store not only stocks a wide variety of local fruit, but also provides information on varieties and origins. The detailed labeling informs the buyer on the differences of fruit choices so purchasing can be done more accurately. Sweet Cane Café was recognized for serving locally grown fruit in value-added products. The Hilo business grows sugar cane in Onomea using Korean Natural Farming methods. After juicing the cane, the company features it in a line of beverages, slushies, smoothies, elixirs and drink shots served at its two cafes. Sweet Cane also uses a wide variety of fruits in its menu offerings. Hawaii Tropical Fruit Growers: Marking its 28th year, HTFG was incorporated in 1989 to promote tropical fruit grown in Hawaii. It is a statewide association of tropical fruit growers, packers, distributors and hobbyists dedicated to tropical fruit research, education, marketing and promotion; www.HTFG.org. Hawaii has awarded 11 projects to eligible non-profit and for-profit entities totaling more than $427,000 through the 2017 Specialty Crop Block Grant Program (SCBGP) of the U.S. Department of Agriculture (USDA). The federal program, funded by the Farm Bill, provides grants to state departments of agriculture to fund projects that solely enhance the competitiveness of specialty crops, such as fruits, vegetables, tree nuts, dried fruits, horticulture and nursery crops. A variety of ‘fresh kitchen’ Mexican fusion cuisine will be offered at the new Big Island Burritos in Queens’ MarketPlace food court. The menu will feature signature island style gordo burritos, loaded rice bowls, local farm salads, and fresh soft tacos, prepared in multiple styles and with a variety of flavors to choose from. Big Island Burritos will be open in the Queens’ MarketPlace Food Court from 10:30 a.m. to 9:30 p.m. For more information, visit www.bigislandburritos.com or call (808) 479-0620.